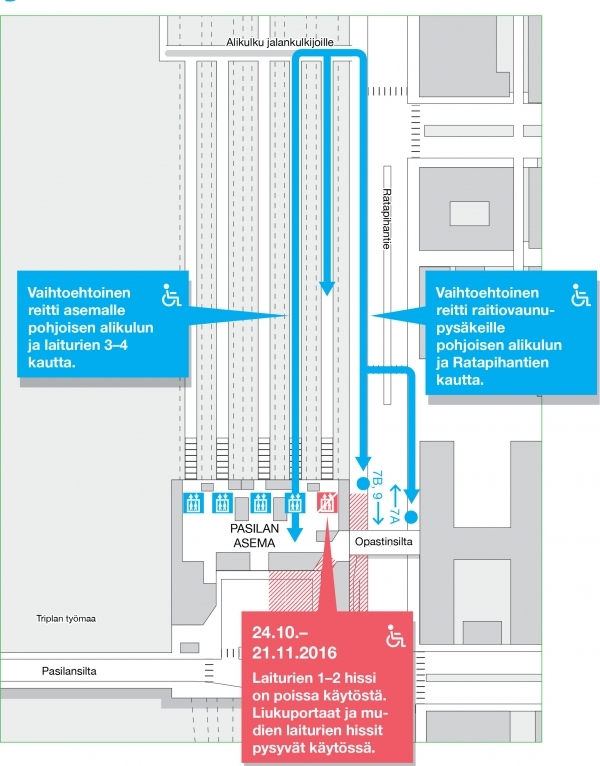 The lifts to platforms 1 and 2 at Pasila station will be out of service Mon 24 October – Mon 21 November due to construction work. Accessible entrance to the platforms is via the northern underpass or via platforms 3 and 4. Escalators and lifts to other platforms are in service as usual. Staff will be available to ensure accessible entrance to the platforms Monday to Friday 6am-10pm and on Saturdays and Sundays 9am-7pm. At other times, help is available by calling 050 524 2154.